How do two simple ingredients—flour and water—combine to make something as complex as bread? Learn about the art and science of bread in this hands-on children’s culinary workshop, presented in partnership with Hot Bread Kitchen. Karen Bornarth, Program Director of HBK’s Bakers in Training initiative, will lead young bakers on a bread-making journey. Participants will sample the building blocks of bread, taste a variety of finished breads, and take home their own sourdough mix to bake at home. This is the third and final program in Food Is Culture, a series for young chefs that explores food science through the lens of fermentation. 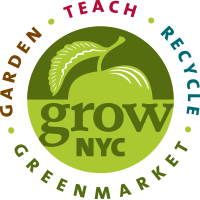 Many thanks to Grow NYC and the Greenmarket Regional Grains Project for providing local grains and flours! Hot Bread Kitchen is a social enterprise that creates economic opportunity through careers in food. We train women bakers, incubate small food businesses, and create jobs in urban neighborhoods like East Harlem, where we are located, that really need them. Through our intensive, paid on-the-job training program, low-income women from around the world learn the trade of bread-baking. After completing their training, 100% of graduates become breadwinners, landing in full-time jobs with benefits. We operate a 24-hour, 7-day a week manufacturing bakery in Harlem's historic La Marqueta that sells multi-ethnic, artisan breads inspired by the women who bake them. In addition to our direct service, through our global bread offerings, we are “br-educating” New Yorkers about the important role played by immigrant communities. Karen Bornarth has been baking bread professionally for almost 20 years. She started her career with Amy's Bread. From Amy's, she joined the team at The French Culinary Institute, where she taught bread baking and ran the bread department. After the FCI, Karen went to Le Pain Quotidien to run their education bakery and develop products. At Hot Bread Kitchen, she runs the Bakers in Training program, and trains women to become great bakers. Food is Culture is supported, in part, by public funds from the New York City Department of Cultural Affairs, in partnership with the City Council and Council Member Stephen Levin.